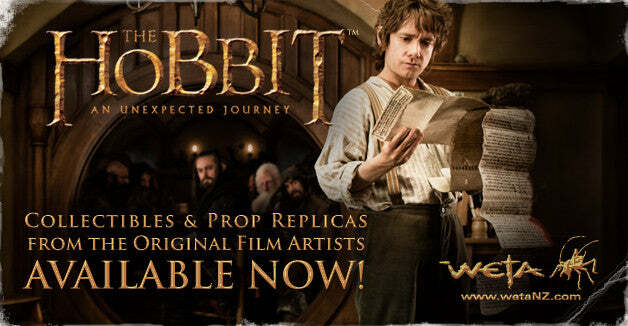 We're very excited to announce our latest collaboration with Weta Workshop! 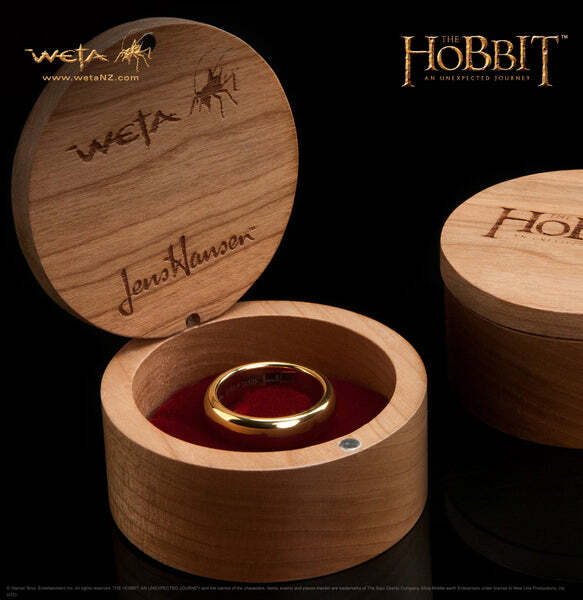 We've worked with Weta to create this collectable for The Hobbit: An Unexpected Journey - Gollum's precious ring in gold plated Tungsten Carbide. It's crafted to the exact shape, thickness and proportions of the original movie prop. The 18K gold plating and the significant weight of the Tungsten now ensures that you can get your own 'Precious' that looks and feels absolutely right. 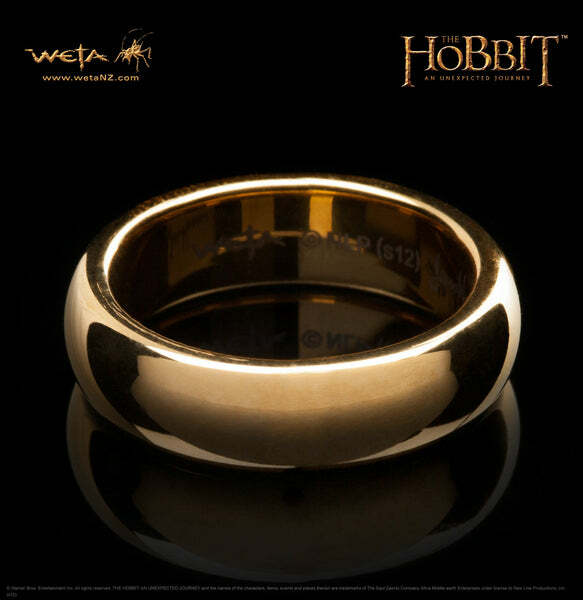 This Ring is completely smooth and comes without Elvish runes. If you prefer to have your Ring with with Elvish, we recommend The One Ring - Gold Plated Tungsten Carbide from The Lord of the Rings with Elvish Runes.